“The Halo team are very personable and hard working. They did an excellent job putting in all new windows and doors in our home. Their attention to detail was excellent. We have a fantastic finish and great job that we are very happy with. We felt we could trust them as they kept us informed at all times, checked finishes and preferences with us to make sure we got what we wanted. They did everything they said they would and even cleaned up at the end of everyday. Overall we are very happy with the work completed and would definitely recommend Halo to others. 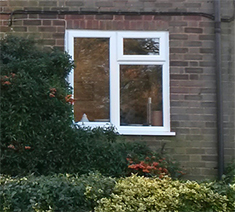 “All the team did a very professional job, the very minor snagging issues were dealt with effectively. The finished product is impressive, and so is the quality of all the workmanship right down to the smoothing of the sealant, which is very sharp and finishes it well. “Good and prompt installation. Quality excellent. “We were very impressed with quality of the work and the dedication to completing the task, both my wife and myself felt at ease and trusted your ability to complete the work – we really had no issues and would have no concerns about speaking to Halo again about further work. Why did we choose Halo? 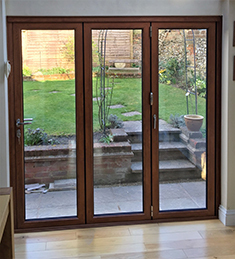 Paul, of Halo windows, provided a friendly, honest and very competitive quote and we felt like we were dealing with a trusted professional – we were not wrong. “Great service, owned the process from start to finish, good communicators and a top class result. Would not hesitate to recommend Halo or use them again. 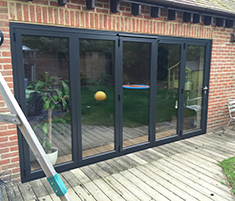 “I can’t fault Halo as a company, they were extremely professional, the installation was PERFECT and they left everything tidy, I would certainly recommend them. “Given all the problems we have experienced during our building project it has been genuinely a breath of fresh air to deal with a company that turns up on time, works hard to deliver on deadlines, provides very high standards of workmanship and goes the extra mile to help out. We have been extremely impressed with everything that you have done here. Where any problems arose you sorted them out quickly and without complaint. We look forward to seeing you for the annual check over in 12 months time. I can’t think of any way you could improve the service unless you want to chuck in a new garage door FOC! “Very happy with the service provided. Windows and the workmanship were all quality. Really nice dealing with everyone – really friendly. Workmen were professional and courteous – no bad language around my daughter etc. “Paul and the team were incredibly polite, friendly and professional. They went to great lengths to get things just right, cutting no corners. Highly recommended!